We’re also seeing a central defense of the Bank Lobbyist Act being demolished in record time. The massive omnibus spending bill released Wednesday included a surprise gift to the private-equity industry, which is one of the most powerful players in the financial sector. When this bill passes, it will add another layer of risk to a system already poised to become less stable after the Senate passed its bipartisan bank-deregulation bill earlier this month. Defenders of that Senate bill at times argued the deregulation was a one-off needed to satisfy a hungry industry. But here we are, just days later, dismantling rules designed to prevent another financial crisis. The rider in the omnibus, called the “Small Business Credit Availability Act,” has really nothing to do with small business. It loosens restrictions on a class of investment firms known as Business Development Companies (BDCs). These are mostly just accounting fictions; BDCs are tax-exempt vehicles largely created, owned, and operated by private-equity firms. These entities raise money through stock exchanges and are supposed to provide capital for small- and medium-sized businesses. In reality, many of their holdings are in financial companies and exotic derivatives. With this provision, BDCs could borrow twice as much money as they hold in equity, compared to a 1:1 relationship under current rules. This increase in leverage increases returns and risk—if you gamble with someone else’s money and win, you make more for yourself, but if you lose, you have nothing to pay back the lenders. Americans for Financial Reform adds that the leverage in the corporate holdings of BDCs is already 5:1 or greater. So this would enable BDCs to borrow at least $10 for every $1 in equity. While this is bad news for ordinary investors in BDC stock, who will be more at risk of losing their investments, it’s great for the private equity players who own BDCs and charge fees to those investors. Ares Capital, one of the largest BDC parent companies, spent $1.44 million between 2012 and 2015 lobbying for this change, according to the labor union UniteHere. Apollo and Carlyle Group, two private-equity giants, would also benefit. Bloomberg puts the potential profit increase at 20 percent. That’s a windfall for investment firms that have a knack for destroying companies. 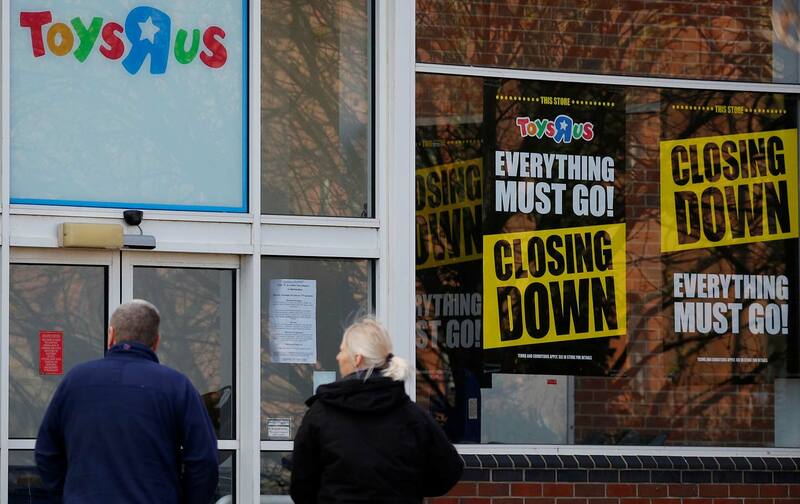 Toys “R” Us, liquidating its stores despite a significant market share in toy sales, is owned by private equity. So is Claire’s, which just filed for bankruptcy, and other recent bankruptcy victims like Payless, The Limited, Wet Seal, Gymboree, Tops Markets, and Southeastern Grocers, parent company of Winn-Dixie. The common thread here is that these companies are loaded with debt and starved of the resources to maneuver and adapt to a changing retail environment. Why would we want to enrich the private-equity predators who burdened them with that debt, sucked out their profits with management and advisory fees, and left their carcasses by the side of the road? But the real-world impact of this omnibus provision is a side effect to the consequences of business-friendly Senate Democrats’ pushing financial deregulation, despite record industry profits and the fact that no constituency outside of executive boardrooms and K Street lobby shops is calling for it. Sixteen Democrats and one Democratic-leaning independent joined Republicans to pass that bill, which critics call the Bank Lobbyist Act, last week. There’s this odd theory that those Senate Democrats just needed to “satisfy a powerful industry’s pent-up demand for deregulation,” to let off some stream, and afterward that demand would subside. The BDC provision in the very next must-pass bill after the Bank Lobbyist Act makes that theory look completely foolish. What Congress actually did was signal to the industry that it was open for business on deregulation. And Wall Street took that signal to ask for more, and more, and more. This may also facilitate final passage of the Bank Lobbyist Act. House Financial Services Committee chairman Jeb Hensarling has been very angry that his imprint wasn’t stamped enough onto the bill, and has said he wouldn’t agree to it without more deregulation written into the legislation. Senate bill authors told him that they can go no further, suggesting a potential impasse. But throwing the BDC rider, a top priority for Hensarling, into the omnibus gives the House Republican more confidence that he’ll get the deregulation he seeks, smoothing the way for the bill’s passage. In other words, you cannot look at the Senate’s deregulation bill in a vacuum. On its own it’s an unnecessary and potentially quite dangerous piece of legislation, with a host of bad ideas to increase financial risk, reduce monitoring on some of the biggest banks in the country, and make it harder for regulators to enforce the law. But its also a signal the government is swinging the pendulum of regulation backward. And that has a series of consequences, like a snowball rolling down Mount Everest, picking up speed as it goes. It means you’ll see more little riders like this to help out the financial industry. It means Trump’s deregulatory army at federal agencies, who get to interpret these laws, can pursue their own hatchet jobs on financial rules. As a Republican congressional source told Politico, “Our ‘riders’ are named Mick Mulvaney, Steven Mnuchin, Jay Clayton, and Randy Quarles,” referring to four generals in that deregulatory army. Quarles, the Federal Reserve’s head of financial supervision, is already taking aim at leverage rules for big banks; messing with leverage further in the Bank Lobbyist Act and the omnibus makes things worse. Mulvaney has already sidelined the office at the Consumer Financial Protection Bureau that investigates lending discrimination; rolling back lender-data disclosures in the Bank Lobbyist Act that would detect such lending discrimination makes things worse. SEC chair Clayton has already pulled back his agency from enforcement; giving regulators like these more discretion to determine enforcement, as the Bank Lobbyist Act does, makes things worse. Combine that war on the rules at the agency level with Congress’s slow chipping away, and pretty soon you have a riskier, more destabilized system. That’s how it has always worked with Wall Street. It chipped away at the firewall between investment and commercial banks long before repealing Glass-Steagall. It spent twenty years building the mortgage-backed securities market through one small rules change after another, until the product that caused the Great Recession could be sold. Anyone who makes an argument that one bill or one measure on its own doesn’t do a whole lot to the overall structure of financial regulation doesn’t know history or is actively trying to fool you. 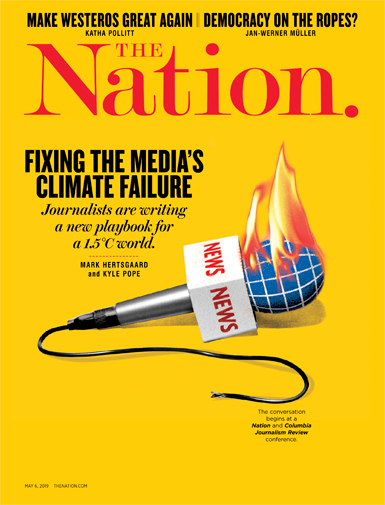 The myopia with which Senate Democrats and their defenders have approached this situation, as if they could just give an inch to Wall Street and they’d be satisfied, either reflects incompetence or a public-relations maneuver, to make it look like their incredibly damaging actions aren’t that bad. I’d bet on the latter.